Over the years, Mark Linenthal has cultivated a number of identities, all of which find elaboration in his writing: poet, teacher, activist, jazz musician, hunter, WWII navigator, and prisoner of war, among others. Mark taught English at San Francisco State University from 1954-1992: during which time he married Frances Jaffer, who went on to become a remarkable poet in her own right. 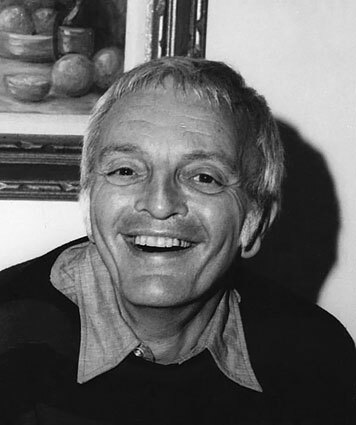 During that time, Mark directed the Poetry Center (1966-1972). He was also instrumental in organizing the Green Party of California. Mark is a saxophone player, and while he stopped playing in his combo a year or two ago, he continues to find in jazz a set of living metaphors and models for poetry and its sociality. He’s also passionate about hunting, as well as fly fishing, and while it’s hard for me to share the enthusiasm, Mark has written persuasively about hunting as an ecological and ethical practice within a Green political vision. (He was one of the early organizers for the Green party when it first emerged in San Francisco.) From this practice, Mark derives an equally compelling set of figures for being “in the field” of poetic composition. recorded by David Highsmith. photo courtesy Peter Linenthal with restoration by me.